The traditional still photos, captured after a ride, are getting old-fashioned. Visitors get tempted to take their own pictures and videos using their smartphone during a ride for more exciting memories. But for safety reasons, handheld cameras while riding are completely banned. Using on-ride cameras has addressed the need. We developed an end-to-end system that would help capture real moments during the ride and make them easily be available to people on an iPad application without later waiting in a long queue. 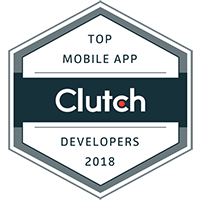 The idea of Momentum revolved around capturing moments from a camera and storing it on cloud which our application would access. This meant integration with hardware was key. 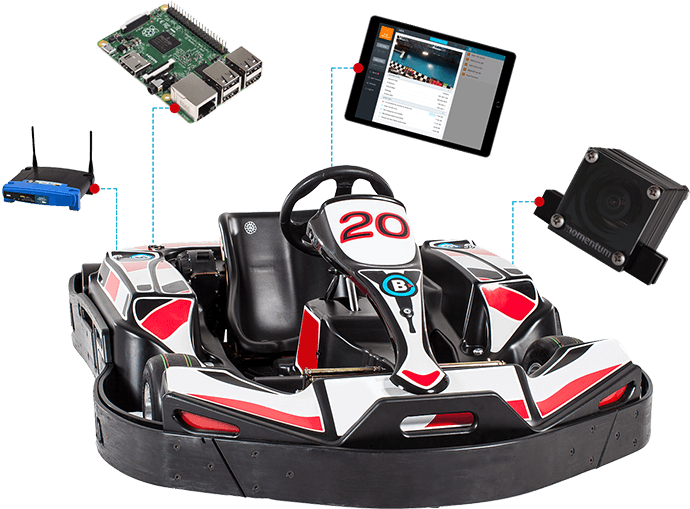 We created a custom camera that was installed in the front and back of every racing kart, and along different points of the race course. 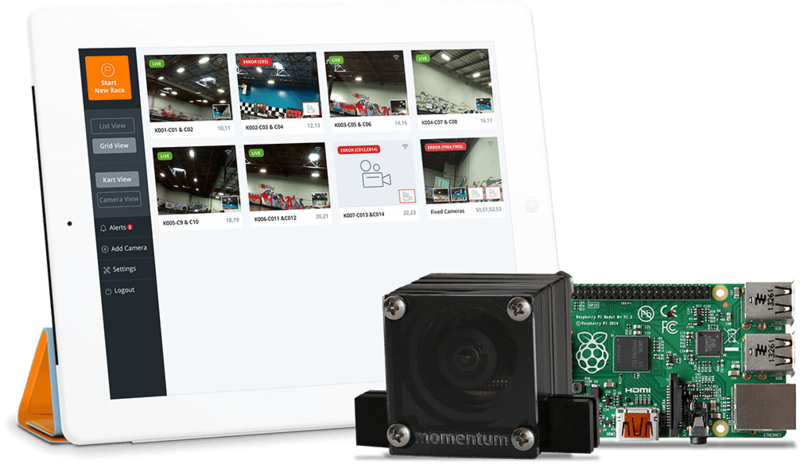 Through a small PC integrated within, our cameras sent data to the cloud via a wireless data connection covering the complete racing track. With all these coupled, we were able to capture video footages of every kart throughout the race. 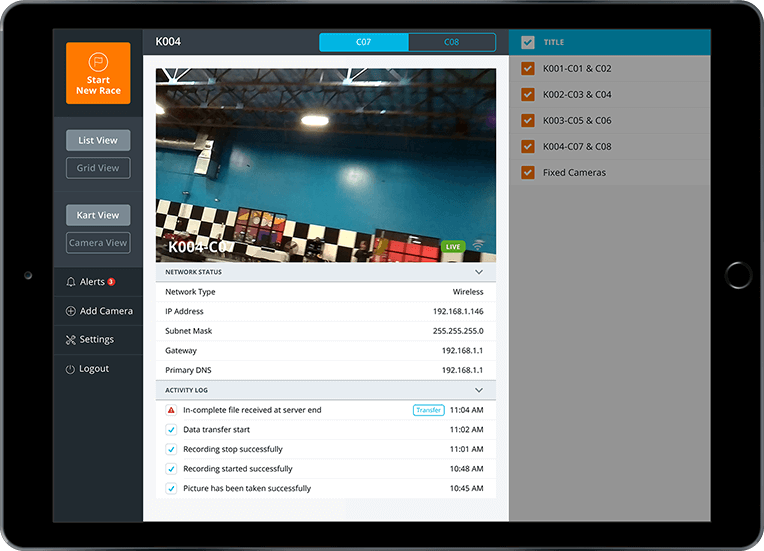 For the race moderator, we created an app to manage the race, karts, and the cameras. This meant giving complete control of the operations on an iPad. 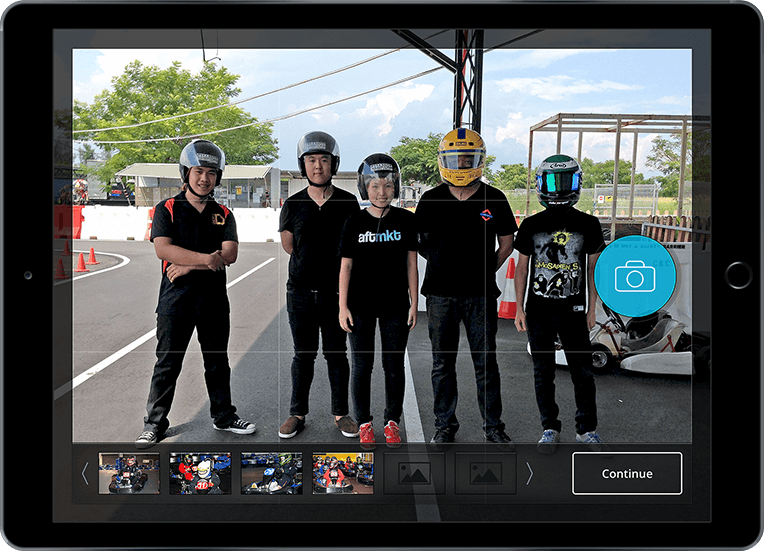 On this application, a moderator would create a queue of karts participating in the race and view the live action from each camera installed, either on the kart or at multiple positions at the track, on their iPad. After being assigned a kart, our photo booth application took pictures of participants before the race. Participants were free to take single or multiple pictures of themselves at the photo booth. All these photos were then synced to the kart’s account that participated and were available for purchase at the kiosk. With Momentum, videos were captured during the ride and automatically edited into a short film. This could be a video of a single kart, or a video collage of all the participants together through an algorithm we designed. These videos were available to visitors at the end of the ride on our application present at the kiosk. 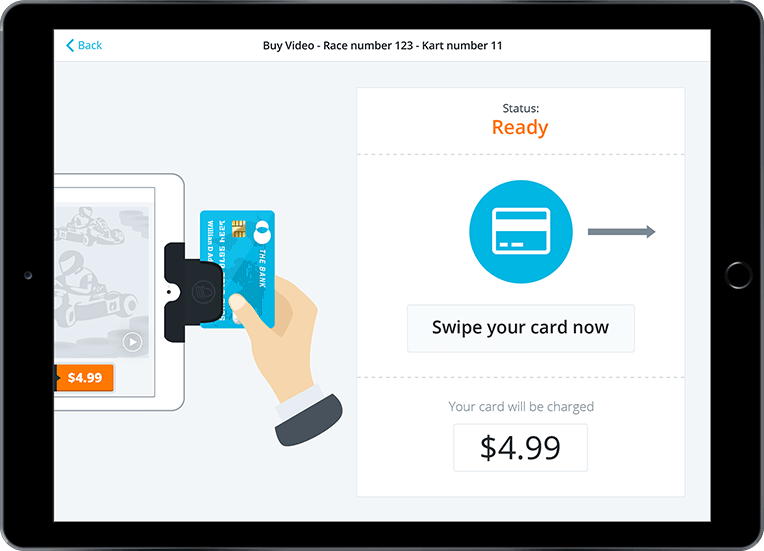 Visitors were allowed to purchase a copy of the images and videos through a ready to swipe credit card functionality at the kiosk.